Mobile payments apps have leapfrogged credit and debit cards in China, signposting the way forward for the rest of the world. To put their scale into perspective, each organisation handled more payments in a single month this year than PayPal’s $451 billion for the whole of 2017, according to research firm Analysys. 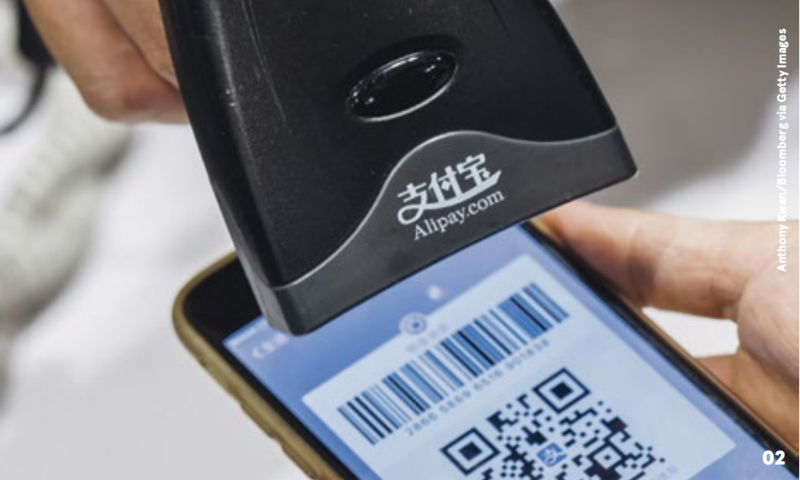 In many ways Alipay, which has more than 520 million active monthly customers, and WeChat Pay, with over one billion, point to the future of payments for the rest of the world. By contrast, Apple Pay has only 127 million worldwide, even though it is installed into every iPhone. One thing that has driven their recent growth has been the inadequacy of China’s traditional banks. Bank customers have to contend with long queues in city branches, long journeys to branches in the countryside and horrendous bureaucracy to get a credit card. The low penetration of card payment point of sale terminals in China, partly down to the fact Visa and Mastercard are banned in the country, has been another factor, as has Chinese millennials’ open-mindedness to technological change and willingness to entrust large portions of their lives to companies such Alibaba and Tencent. But the explosion ultimately only happened because Alibaba and Tencent managed to blend seamlessly social media, ecommerce, payment and other finance functions into single apps and user friendly ecosystems. “Imagine Facebook bolted on to email with a built-in payment platform for splitting bills among friends: that is Tencent’s WeChat. Mr Skinner says their success showed that the UK wasted too much time developing card payment technologies, such as chip and PIN and contactless, which he argues were already outmoded by the time they were launched. “In 2015 Chinese citizens transacted $1 trillion through mobile payments using QR codes. 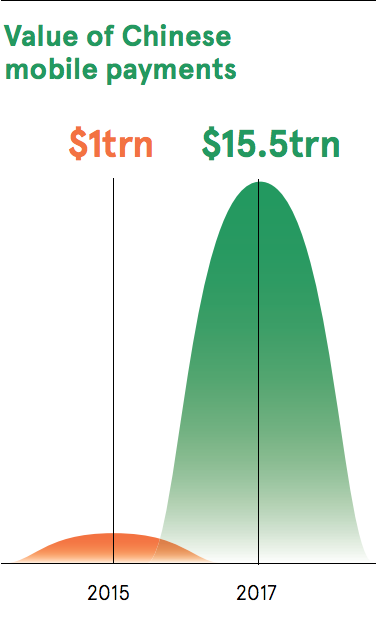 In 2017 it was $15.5 trillion.